Looking forward to planning a luxurious trip with your loved ones this summer? If you want to fulfil your skiing fantasies while experiencing luxury at its best, Colorado will be an ideal location to visit! Colorado has some of the most scenic views and breath-taking landscapes, so delve into the beauty of nature and dive into its essence. Colorado hosts some of the best ski resorts in the world including Vail, Telluride, Beaver Creek and Aspen that are an epitome of luxury. They have some of the most exotic spas and lodges, luxurious five-star rooms, health clubs, beautiful swimming pools and saunas, and five-star restaurants. Most of all, you will have convenient access to ski-in-ski-out experiences. Vail is recognized as the most popular ski resort in North America. It offers the most astounding skiing experience and is known to be one of the must-visit resorts for ski fanatics around the globe. Individuals searching for the best places to fulfil their skiing fantasies must plan a trip to Colorado to experience the wonders of snow. Each year Colorado attracts countless tourists and skiers during the skiing season. The powdery snow captivates the heart of countless individuals. 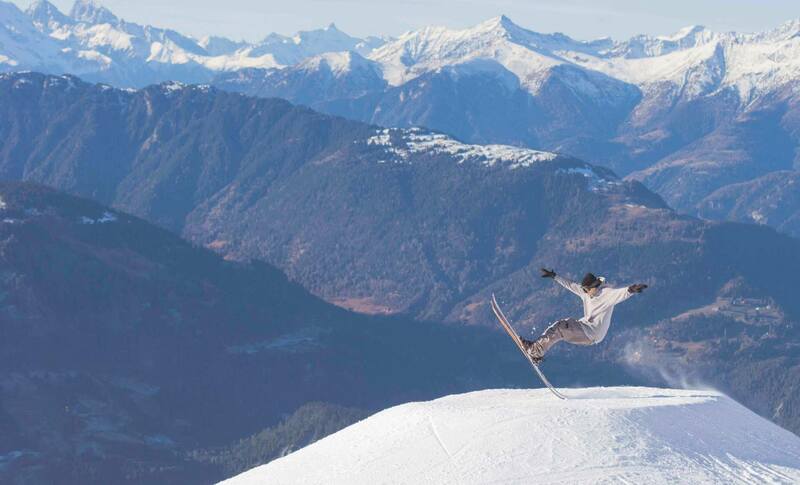 The resort has invested heavily in its infrastructure including the iconic chairlifts and outstanding pistes. During the ski season, the resort management team pays special attention to the pistes and slopes to keep them in top shape for the users. One of the main reasons for the huge popularity of the resort is its pristine slopes that are bound to captivate your heart. Beaver Creek is a fantastic ski resort that offers various opportunities to passionate skiers. The scenic view that Beaver Creek offers attracts a huge number of tourists and skiers from all around the world. It offers skiers the opportunity to challenge themselves with its world-class slopes. Breckenridge Ski Resort is located near the renowned Vail Ski resort and offers a casual environment. Breckenridge does not remain as crowded as Vail, but the skiing facilities that it offers are unmatched. It offers crisscross trails in front of the breath-taking landscapes that are enough to entice any individual passionate about skiing. Breckenridge is known to be a powder paradise for ski lovers, as it gathers a huge 300 inches of snow powder that is fluffy and beautiful. If you too love rolling onto the powder snow, Breckenridge Ski Resort will be an ideal choice. These resorts offer luxurious accommodations with highly spacious rooms and access to a variety of luxurious facilities. The beautiful rooms showcase amenities such as DVD and CD players, a mini fridge, satin bathrobes, and a lot more. If you have a larger family and are looking for a more luxurious option, you can opt for high-end five bedroom condominiums. The condominiums are decorated uniquely in a mountain style that feature fully equipped kitchens, washers, dryers, wood-burning fireplaces and exotic private balconies or patios to keep you occupied at all times. House-keeping is offered as a complimentary service to keep your rooms clean throughout your stay. You can avail various other exciting facilities like an in-house video rental library that offers a huge selection of top-class movies and videos. You and your kids can enjoy various in-house activities such as the game room that offers plenty of games such as snooker, carom, chess, video games, etc. These resorts host state-of-the-art health clubs that offer a huge variety of facilities. If you are craving a revitalising massage in a luxurious spa, Vail has a world-class spa that hosts 13 treatment rooms and a huge variety of signature massage options to revitalise your senses. The spas are built beautifully with modern infrastructure to give you a taste of luxury. The unique and spacious massage rooms, along with the beautiful ambience they offer, are going to blow your mind away. Whether you need to get a signature facial or get your eyebrows trimmed, the spas can accommodate all your beauty-related needs. Dive into the pool or sweat your pores out and stress away in the sauna or steam room before going for an exotic and pampering treatment to the luxurious spas. After a long, tiring day spent moving through the luxuriously fine powder, the best indulgence would be an outstanding spa that offers exceptional services and massages. The last thing that you would want to do after a long and tiring flight is to arrange for transport to reach the hotel. The luxurious resorts in Colorado offer private transfers that are extremely convenient. Once arrived at your destination, a posh and spacious car will be there waiting to take you to your beautiful hotel. The cars will be spacious enough to accommodate your whole family along with your luggage, so that you can sit back and relax in comfort and style while your driver drives you into the beautiful valleys, instead of you waiting to arrive at the hotel crammed up in a cab. There will be no fuss over the space in the car, and your kids can sit comfortably after a long, tiring flight. Moreover, you won’t have to waste your time fixing your luggage on a bus. Instead, you will be relaxing in your room preparing to ski on the luxurious powder and exotic slopes. Aspen is known to be Colorado’s most luxurious ski resort that sends posh shuttles and helicopters to the airport for its guests. Enjoy the breath-taking views of icy mountains that are 14,000 ft. High, as you fly comfortably in luxurious helicopters. You can feast your eyes on the Maroon Bells and Pyramid Peak, and enjoy the breath-taking landscapes Colorado has to offer. How do you feel about the idea of dining in a posh restaurant on top of the icy mountains with your loved ones? There is no doubt in the fact that winter time in Colorado is a magical experience that should not be missed. Imagine spending the day skiing your heart out on the finest powder in the world, and then going for a fancy dinner in a posh restaurant serving a huge variety of top-class food. You can take a fun gondola ride through the mountains and arrive at your favourite restaurant. Allred’s restaurant offers the best seafood entrées in the entire world. For the best Italian food in Colorado, Alpine Vino will be an ideal choice. These lavish restaurants offer five-course meals and an array of desserts made by their top-class chefs. If you are searching for a truly luxurious dining experience, hop onto a gondola ride from Keystone that will take you to the highest point of North Peak. There you will come across a lavish AAA – 4 diamond restaurant that has a royal feel to it. With its beautiful infrastructure, antler chandeliers and soft lights – this extravagant restaurant will captivate your heart in a single glance! Apart from skiing, there are several other activities that you can indulge in while visiting Colorado. Vail offers an amazing après and nightlife experience to all the visitors. Après will be an outstanding way to end a happening day at the beautiful slopes of Vail. If you haven’t seen the popular pink winter sky of Colorado, often referred to as ‘alpenglow’, you are missing out on something exciting. It offers a spectacular view that can only be enjoyed from above the Purgatory Resort. Your journey begins by riding through the lift, then hiking through the pristine terrain, whilst watching the beautiful and mesmerizing views of the sun setting on the snowy peaks. The guests can then relax and take a much-needed break at the Powderhouse restaurant that offers delicious cocktails, the world’s most amazing hot chocolate, and their signature hors-d'oeuvres. If you are a fan of clubbing, Colorado ski resorts such as Vail, Breckenridge and Aspen offer some outstanding bars and clubs that are bound to make you fall in love. If the idea of skiing at night entices you, Keystone will be the perfect option for you! The gondola rides and chairlifts allow you to move to the top from the bottom. The well-groomed trails running down to the base are steep and long – making them perfect for expert and intermediate skiers. Individuals that have just started skiing can practice in the top areas. Keystone also offers snowcat skiing for passionate individuals looking to experience something different. Whether you are a fan of loud parties or mellow evenings, ski resorts in Colorado have all sorts of options for varying tastes and personalities. Telluride, Vail, Aspen Mountain and Breckenridge are resorts that offer the best nightlife experience in Colorado. Experience luxury at its best with heliboarding or heliskiing across the Silver Mountain. You can opt for a private heliski day, where you can ski across the icy slopes and finest powder with your loved ones, without the presence of any outsiders. If you are staying in Aspen or Telluride, you need to mark Silverton skiing as an activity that you cannot miss during your trip. Avail the Heli-transport facility form Telluride and fly over to Silverton for a skiing experience like no other! Silverton Mountain is known to be the one and only Heli operator in the US to provide single drops, along with private heliskiing experience for an entire day. Enjoy skiing your heart out all day and avail 2 to 3 heli laps to make your trip incredibly luxurious. You can also opt for a ‘6 run’ heli day where you can take six runs on the terrain. At Silverton, you can avail the private ship facility as well and explore the vast mountain while experiencing luxury at its best. Heliskiing is bound to give you the adrenaline rush you’ve been waiting for – making it the most adventurous trip of your lifetime. Whether you want to ski across the beautiful mountains or indulge in the famous dining spots or clubs, Colorado has everything that you need to make your trip an unforgettable one! So, hurry up and plan a luxury getaway to the mesmerizing city of Colorado now!